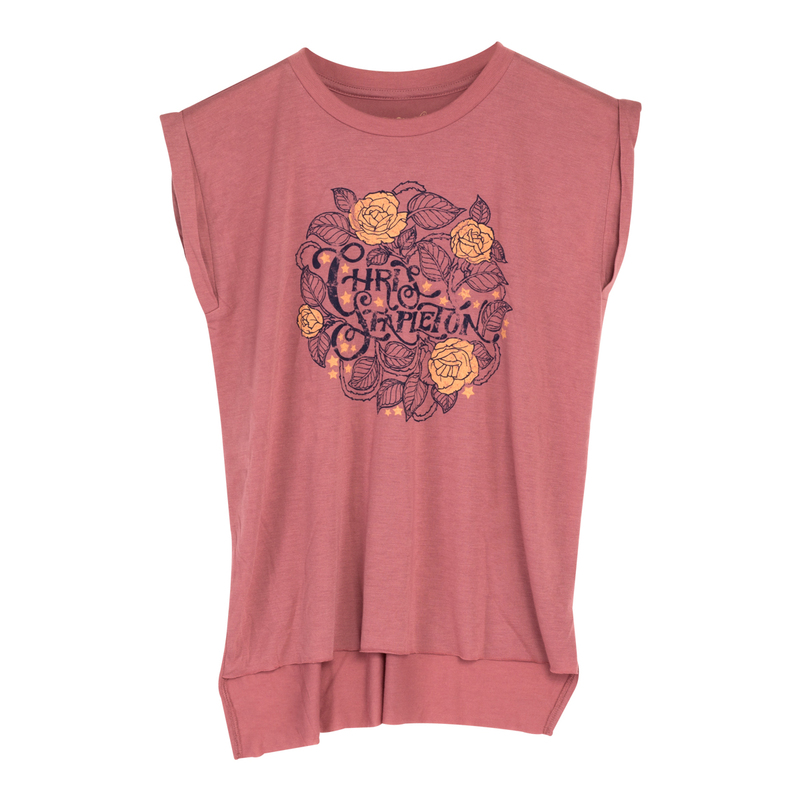 These tanks are made in Los Angeles exclusively for Midnight Rider and Chris Stapleton. Women’s flowy muscle tank with rolled cuff, 65% polyester, 35% viscose. Love it! I wanted a super, super soft oversized tee to sleep in and it's absolutely perfect. Better than I'd hoped for, high quality, great color, amazing. Worth every cent!